We’re partnering with the Loudoun Wineries Association to giveaway a Winter Wine Barrel Tasting Package that includes 2 tickets to the event as well as 5 hours of luxury sedan service! We are also offering a special discount for those who would like us to be their designated driver to tour the participating wineries – please see more information below. More than a dozen wineries are participating in the inaugural Loudoun County Winter Wine Barrel Tasting taking place Saturday Feb. 2 from 11 am-5 pm. 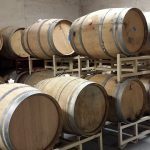 Meet Loudoun County winemakers who will be opening up their cellars and offering tastings directly from the barrel. You will start your day at your designated check-in winery and then travel to participating wineries. Tickets are $40 per person and include barrel samples at all participating wineries. The ticket price does not cover current releases at the tasting bar or food. We are offering a special 20% discount* for those who would like transportation services to tour the participating wineries: 20WinterWine2019. * Please note the discount does not apply to limousines or motorcoaches. To book your Winter Wine Barrel Tasting transportation, call our Sales team at 703.478.0500 option 1 or click here to email us! We are giving away 2 complimentary tickets to the event, plus 5 hours luxury sedan service. Winner must live within the Reston Limousine service area or out-of-area fees may apply. No purchase necessary to win – enter by filling out the form below! Entries close at noon Jan. 21 and winner will be posted within 48 hours on the form as well as on Facebook and Instagram.